Telecom service providers in India are having a hard time dealing with their financial crisis but that also means merry times for the consumers. Thanks to the tariff wars waged by telcos, high-speed mobile internet has changed from a privilege to an abundant commodity. 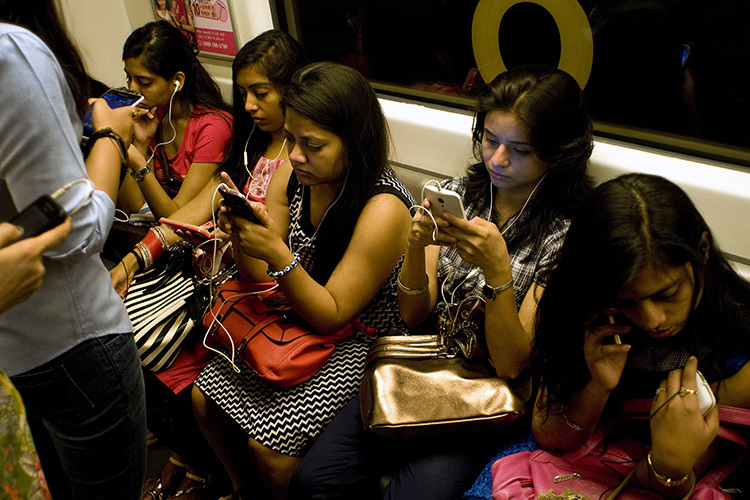 Thanks to this paradigm shift, smartphone users are consuming much more data than they did. A new Nokia report titled “Mobile Broadband India Traffic (MBiT) Index 2018” highlights that the overall consumption of mobile internet in India went up by 144% in 2017. An average user with a 4G device, as per the report, now consumes 11GB of mobile data per month. This is because access to high-speed 4G data, a trend boosted by Jio, has increased the overall demand for mobile data in the entire country. As of December 2017, 82% of the data was consumed through 4G network while the share of 3G much smaller at only 17% percent. Moreover, only 1% of the data was accessed using 2G as the usage is primarily limited to smart appliances, PoS machines, and a very small number of feature phones. The majority of content (65-75%) was consumed in form videos while a lot of users also opted for the premium video content provided by the likes of Hotstar and Amazon Prime Video, thanks to cheap data plans. More than 90% of the videos watched on YouTube were in Hindi and other regional languages. 25% of the video content comprised of long-format videos like movies and TV shows. Besides cheap mobile data plans, the growth was also driven by pocket-friendly 4G devices which grew 70% in volume during 2017 compared to 2016. Of the 218 million active users, 162 million (74%) supported Voice over LTE (VoLTE). The overall average consumption of data – including 4G, 3G, and 2G devices – reached 7.4GB per month while users consumed only 1.4GB using Wi-Fi. The figures, however, contradicts the data recently provided by TRAI according to which the average mobile data consumption of an Indian internet user stood at 1.6GB per month in the month of September. The report also said India is steering ahead with the deployment of 5G and that will put it on par with several developed countries. 5G can be used for the development of smart cities in India, industrial automation, and improve sectors like healthcare and education in India. The entire 12-page report is available for free and you view or download here.